Leilani Kake’s exploratory new work, MALE – Maori or Polynesian has been developed for Between Wind and Water, an exhibition and accompanying residency at Wellington’s Enjoy Gallery. 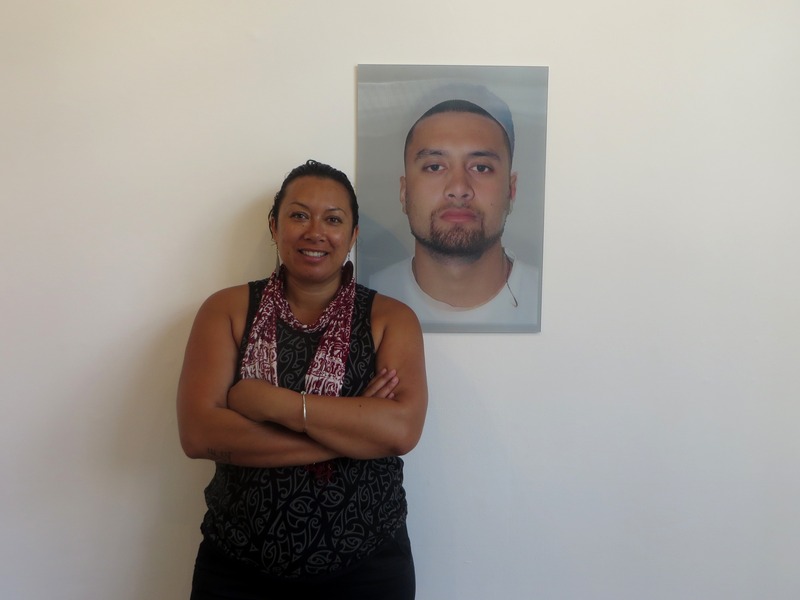 The work reflects Kake’s ongoing research and interest in the problematic nature of visual representation of Maori and Pacific males in New Zealand entertainment and advertising. The popular New Zealand television series, Police Ten 7, inspired her lenticular print which combines three photographic portraits of male relatives who represent not only the core cast, but also an audience who see themselves reflected within it. In a specially devised gallery activity, Kake invites audiences to take time to consider assumptions and attitudes towards Maori and Pacific males by creating a unique hand-drawn Identikit drawing. Gallery visitors are invited to create composite sketches from one of three customised Identikit booklets featuring some familiar faces from New Zealand sports and entertainment. The drawings are being compiled and added to a growing creative lineup on the Gallery wall! Leilani Kake will discuss her work, ideas and wider visual arts practice at an Artist Talk on Thursday 15 January from 5.30pm at Enjoy Gallery, First Floor, 147 Cuba Street, Wellington, Aotearoa New Zealand.